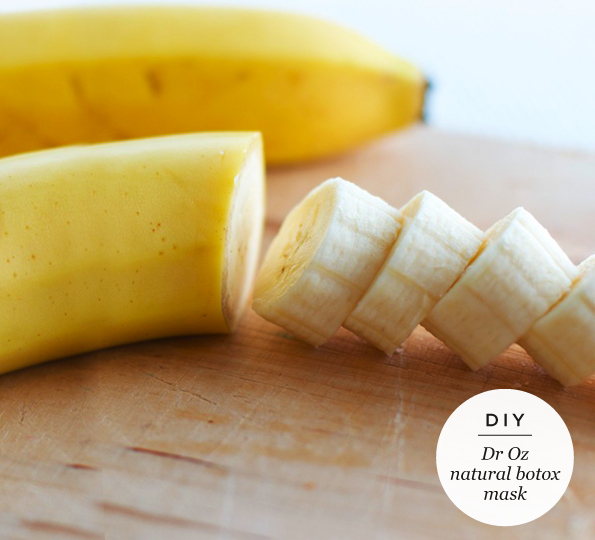 Here's Dr. Oz' DIY banana, yoghurt and honey face mask recipe to use instead of Botox to get rid of wrinkles! Why does this ultra yummy face mask work? The lactic acid found in the yogurt gently exfoliates your skin while the honey moisturizes your face. Amazing! !